So You Think You Don’t Need God? I am always amazed by the amount of people that think they don’t need God. I am also amazed at the people who say “no” to His calling. These two groups are really the same. They are the naysayers. Usually the naysayers do so because they feel unworthy, scared, and a little uncomfortable. I have seen it hundreds of times in my life. I have seen people turn their back on God because they felt justified in doing so. Have you heard those excuses before? I have. I have even uttered some of them out of my own mouth. For many years I was a true believer that God was around and I just needed to call on Him when I needed Him (which wasn’t often). I trusted that God would just leave whatever He was doing and come to my aid. It was a very one-sided friendship. How many times have you been involved with a friend who only takes and never gives? How long did that friendship last? Probably not long. It is exhausting to deal with someone who only takes from you. That is exactly how I treated God for a long time. My prayers (if there were any) were very selfish and always asking for something. Maybe I was praying for a sick friend or for my own causes, whatever my immediate needs were at that moment in time. I never thought about talking to God. I was only asking for more. And when I didn’t get what I asked for, I got angry and judgmental. A relationship with God provides us with so many blessings. He uncovers the truth for us, and helps us accept that truth. He gives us hope. He provides us with whatever we need. The key to the relationship is prayer. Prayer should go back and forth between God and us. It is a two way street. When this relationship exists –daily I might add – then God will begin to open our heart. All those excuses that I listed above will disappear. We will want to spend more time with Him. We will want to do His Will. We will see a way to get done whatever He asks of us. “I cannot possibly do that right now. I am too busy.” God will unveil what you are doing that is not needed. “Why on earth would you ask me to do that? That is not something I am capable of doing.” God will make you worthy and capable of doing it. “I am overcommitted right now with all the things I am doing.” God will shut doors that need to be closed and open doors that need to be opened. “What? Is someone talking to me?” You will hear God’s voice for the first time – clearly. “No thanks. I am really quite happy with where I am in my life. I don’t need or want to take on anything else right now.” God will show you why earthly things will not fulfill you; only He can do that. “I am so busy on Sundays, I can’t go to church. Maybe I will just listen to Christian music or turn on the television and watch church.” You will want to go to church; not only to meet more Christians, but to show your trust and faith in God. Church will be very attracting and enticing. “I am a believer. I just don’t practice a religion.” God will open your eyes as to why you are not a believer until you start showing your love to Him by practicing a religion. Revelation 3:15-17 ‘I know your deeds, that you are neither cold nor hot; I wish that you were cold or hot. So because you are lukewarm, and neither hot nor cold, I will spit you out of My mouth. Because you say, “I am rich, and have become wealthy, and have need of nothing,” and you do not know that you are wretched and miserable and poor and blind and naked. Revelation according to John tells us that being wishy-washy in our faith is dangerous. God wants us to be ON FIRE for Him. He doesn’t want us some of the time. He wants us ALL of the time. Giving your heart over to God is difficult. We can come up with every excuse in the book as to why we aren’t handing it all over to Him. We can make ourselves believe that we don’t need Him. If that is true – then why do you pray to Him when you are in desperate need of something? Why do you turn to God when life hits the bottom? Trust me, you need Him. You need Him daily, not just at a moment’s notice. You need to show your trust in Him. You cannot just assume He will be there for you when you come knocking. You need to start a relationship with Him today. What is holding you back from starting a relationship with God? Blogger, Speaker and Author of "Revealing Faith: Learning to Place God First in Your Life" Most importantly, desperately wanting to hear and follow God's Will, wife of Peter and mother of three kids. 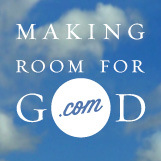 This entry was posted in Faith, Family, God, Jesus, Religion, Social Justice, Uncategorized, Women and Christianity and tagged #makingroomforgod, church, Faith, God, prayer, religion, saying no to God's calling, showing your faith, trust. Bookmark the permalink. 2 Responses to So You Think You Don’t Need God? You are right on the Mark – I love this post – it certainly makes you think. Strategies, solutions, and encouragement for compassionate educators. dreamer. ministry leader. many-hats wearer. The words of saints and sages. My life has changed so much since MS, but what a blessing! My Faith in God, In Life, And the world! Just keep putting your love out there!